Last story of 2017, first story of 2018, with Laure Siegel. The show stays on the road and the road takes me wherever. Home is anywhere I lay my head. In this instance, north of Kolkata, the world’s most beautiful city, along the banks for the river Hooghly. Really enjoyed researching this one and am looking forward to more commissions that require the use of both head and feet to get the story. Happy New Year to everyone who snows through this page, above all of course, my readers. Thanks to everyone who bought one of my books or read my work and has kept me alive and on the road in 2017. 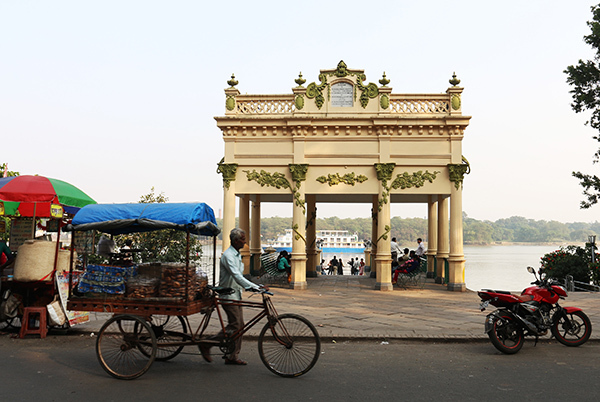 Kolkata, or as the city was formerly known, Calcutta, was founded by the British on the humid banks of the Hooghly River in Bengal in 1690. Two centuries later, the city had grown into the most important trading center east of the Suez and remained the world’s second most important economic hub (after London) until 1911, when the British moved their capital to Delhi. With Little Europe, I am optimistically sliding into the next one searching for new ideas, new stories, new travels.